There are many reasons why the jazz world knows Norwegian artists so well. Reasons which might include – naturally – creativity, originality and the skill levels of the Norwegians as players. Yet on the other hand there are institutions such as Music Norway or the West Norway Jazz Centre which don't miss out on opportunities to organise major events at which artists from Norway are presented to international guests in particularly effective and memorable ways. 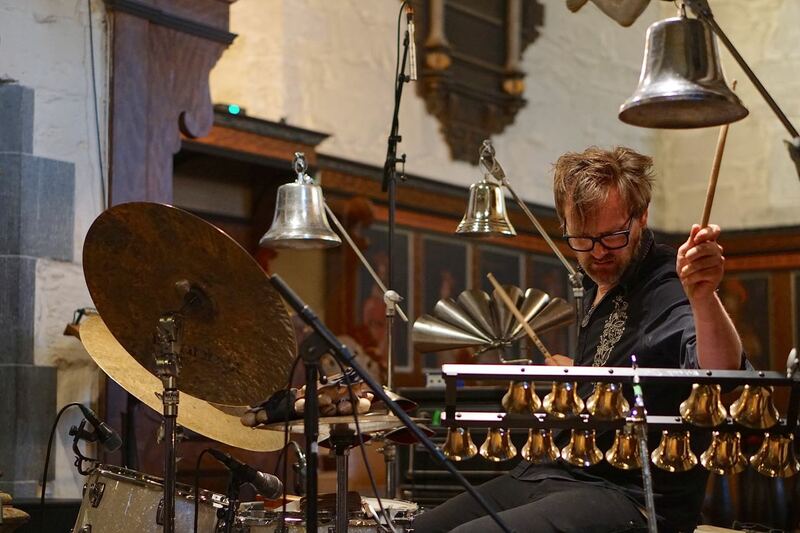 It is, simply put, a very different experience to hear Trygve Seim playing solo saxophone on the bow of a Viking boat sailing along a fjord, as happened last year; or to witness Erland Dahlen, this year, drumming in front of the picturesquely decorated choir of Vangskyrkja Church (image below). 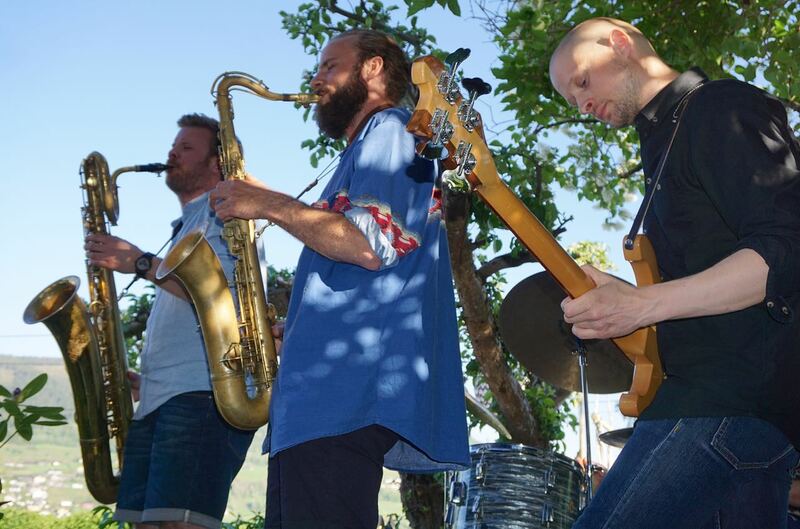 Or to watch indie jazz quartet Rune Your Day unfolding their sparse yet energy-filled sound at a garden party overlooking the picturesque lake in Voss. The eye listens, the brain encodes the pleasant moods which go along with the musical experience, one can feel how a spirit of openness towards this particular type of European jazz increases. It can't be only that, but taken as a whole it is a more compelling entry point into an artist's music than – for example – taking a CD out of a padded envelope. It also bears witness to the level of public esteem in which a country is prepared to hold its artists. For this reason alone, events such as the Nutshell Showcase Festival are special dates in the calendar, especially if they can be combined with another festival such as Nattjazz in Bergen, which has been bringing artists from the region to the stage of the former USF Verftet sardine factory since last Friday, and will continue to do so well into June. The stylistic direction of the young artists presented held the attention. After the phase of free, experimental playing, there was a long period when combinations with rock music, electronica or folk were the typical playing styles that could be expected from Scandinavia in general and from Norway in particular. This time, however, it was traditional ensembles with a modern approach who were in the ascendant. The sextet Bounce Alarm, for example, with two saxophones and trumpet as its front-line, traversed in its mix of sounds between cautiously expanding the ensemble form, taking elements of the contemporary folk composition, and energetic passages of improvisation. 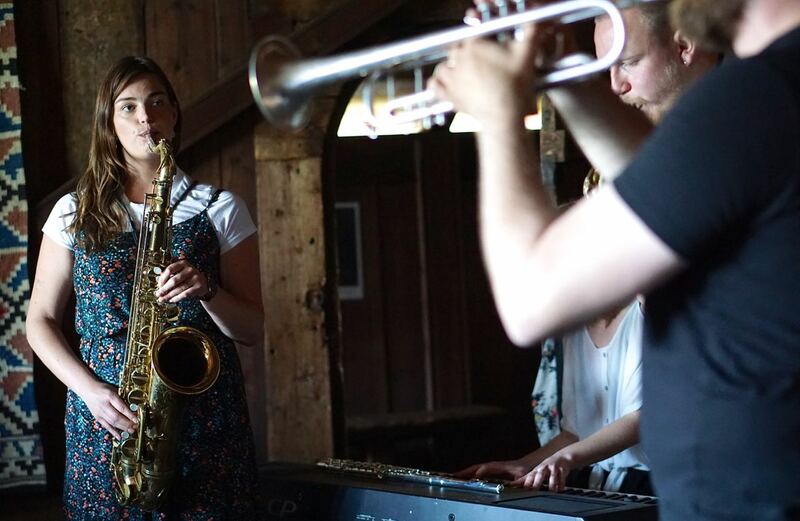 In a similar fashion, saxophonist Hanna Paulsberg's quintet worked on modern-sounding material, but at the same time tended to be more laconic and experimental. 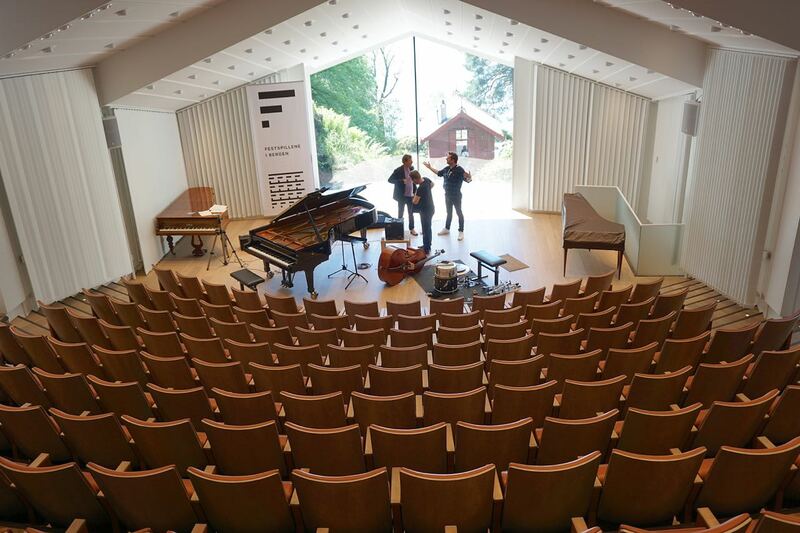 Erland Dahlen's solo program grew in intensity into a mighty thunderstorm of drums and bells, whereas the piano trio of Dag Arensen kept within taste boundaries, its cultured playing was in the line of the modern jazz romantics. But things could also go boldly off in other directions. The trio around pianist Håvard Wiik, for example, managed to inject a wonderful amount of humour into deconstructing the format, despite the fact that their showcase concert was very brief. And saxophonist André Roligheten was given two opportunities to reaffirm his role as an important new figure in the modern Norwegian scene: first as bandleader of his own quartet, where he set off into free playing, and also continued in the seventies tradition of unwieldy and over-long compositions. He was also one of the two saxophonists in the quartet Rune Your Day. With its mixture of tight and well-crafted arrangements and indie sound appeal, it was overall the most convincing band in the Nutshell event. By contrast, the stars of the opening weekend of the Nattjazz Festival were more of a walk down memory lane. So when Frode Haltli unpacked his accordion to offer atmospheric Avant folk, or when violinists like Nils Økland, Erlend Apneset or Old Kvernberg took the Hardanger fiddle in their hands to get to work on the atmosphere of the North, sometimes with more energy – and sometimes with less – it all felt rather more clichéd than the music which the younger musicians had been developing from the inventory of sounds of modern jazz. Nutshell is sponsored jointly by the West Norway Jazz Center and the Nattjazz festival, in cooperation with the Ministry of Foreign Affairs, the city of Bergen, the county of Hordaland, the Norwegian Jazz Federation, Music Norway and the Bergen International Festival.